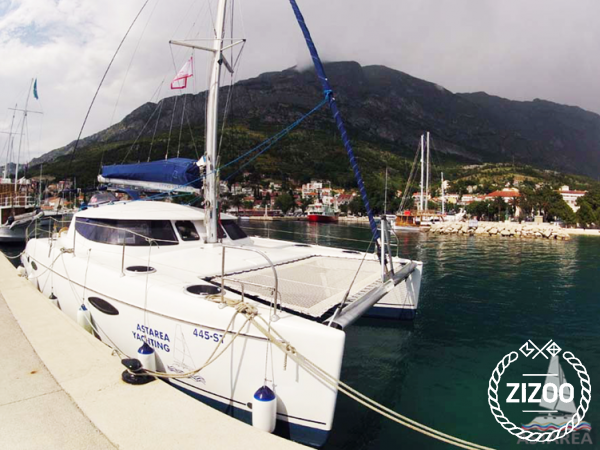 Introducing a problem-free philosophy, the Hakuna Matata, a 2007 Lavezzi 40, based in one of the most beautiful cities in the world, Dubrovnik. We are certain that Timon and Pumbaa, the experts in all things worry-free, would approve of this fantastic catamaran. With 4 cabins that sleep 8, 2 bathrooms, a spacious living area and a fully-equipped kitchen, this boat is definitely the solution for the overworked and overstressed folk in desperate need of some downtime and chillaxin'. Spend your vacation on the Adriatic exploring quiet coves and distant beaches, eating local delicacies and drinking world-renowned wines, swimming in the sea and soaking up the sun. Put the stress of everyday-life far in the back of your mind, preferably somewhere where you can't reach it, and book the Hakuna Matata for your next sailing vacation. The crew can tell you more.